Good Morning! A bit of time has passed since I last posted, but I’ve been keeping myself busy, trying my best to soak up the early days of summer and heal myself from the brief cold I acquired. Given the warmth and humidity lately, it’s been imperative for everyone to stay hydrated, not to mention, this time of year, I seem to crave a refreshing beverage! Thankfully, over the recent weeks, I became acquainted with a sparkling flavored water (plus other varieties!) 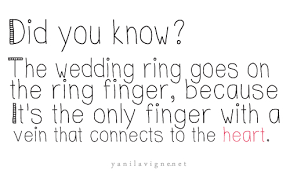 that I absolutely love! Much to my delight, I was provided with the opportunity to sample four flavors (plus, I’ve purchased other varieties on my own!) and am here today to introduce you the beverage I’m referring to – SPARKLING ICE! Sparkling Ice was created in the Pacific Northwest in the early 1990’s. The sweetener utilized in Sparkling Ice beverages is sucralose (brand name: Splenda). The brand is regarded as the fastest-growing non-alcoholic beverage brand in the country! Beverages are offered in a slim, easy-to-carry 17fl oz bottle and are typically offered at around $1 or slightly above in numerous stores, nationwide. Zero Calories, Zero Carbs, Zero Sugar! 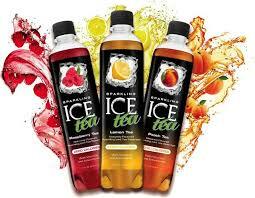 Introduced their newest product line, Sparkling Iced Teas in 2015! Active Social Media Presence: Check out Sparkling Ice via Facebook, Twitter, Pinterest and Instagram! Flavored Sparkling Water Flavors: black raspberry, cherry limeade, strawberry-watermelon, peach-nectarine, orange-mango, coconut-pineapple, crisp apple, lemon-lime, kiwi-strawberry, pink grapefruit, pomegranate-blueberry. Sparkling Lemonades Flavors: strawberry lemonade, raspberry-lemonade, classic lemonade, peach lemonade, mango lemonade, lemonade tea. 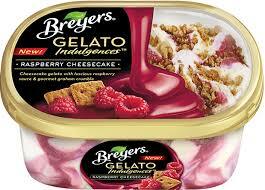 My initial reaction to receiving and seeing this flavor was pure happiness and intrigue! For a number of years, I have been a dedicated fan of real strawberry lemonade, so I was overjoyed to see this flavor offered as a sparkling water, with absolutely no calories, PLUS, nourishing vitamins and sweet flavors! At first sip, I was greeted with a clean sweet flavor, lightly carbonated and bubbly, reminding me of the real strawberry lemonade with a less tart flavor. The familiar sweetness of the strawberry truly shined through and left me wanting more. 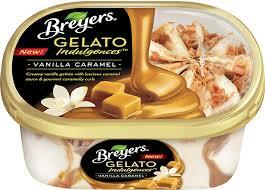 I had to stop myself from enjoying the entire bottle in one sitting, wanting to savor every last bit! Definitely a winner, in my opinion! 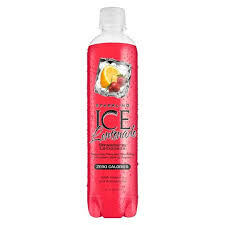 Let me preface my reaction to this flavor by saying, since childhood, I’ve been a huge fan of the chewy raspberry-flavored candy, Swedish Fish, so this flavor of Sparkling Ice was right up my alley! At first sip, I was greeted with a sweet, familiar-tasting raspberry flavor, leaving me feeling as though I was enjoying my favorite chewy candy! It was both sweet and refreshing, again with the light carbonation I often crave (I confess, I am a big fan of Diet Soda, so the carbonation in Sparkling Ice is VERY appealing to me!). I like that with these sparkling waters, I am getting both the sweetness and carbonation I know and love, but in a much healthier manner (given the vitamins instilled in the beverages and the fact that it is sugar, carb and calorie-free!). Needless to say, I will definitely be enjoying this particular flavor in the near future! Generally, I am a big fan of lemonades, as I previously mentioned, so my expectations were high for this particular flavor and though it provided the sweetness and carbonation I like, it wasn’t my particular favorite. 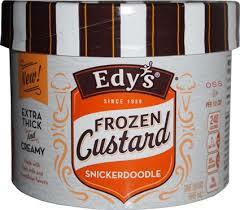 That said, it was still vastly palatable, but not a flavor I would first choose if given the option. Still, I was grateful for the opportunity to sample it. The peach flavor itself, though, tasted sweet and reminiscent of the actual fruit and was an ideal flavor for the summer, given it’s rampant appearance in stores and farmer’s markets throughout the country. The last flavor I was provided with was from Sparkling Ice’s newest line for 2015, Raspberry Iced Tea! 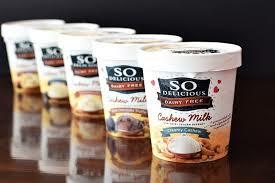 I was curious and intrigued about this flavor and about the product line in general. At first sip, the flavor was unique and reminiscent of actual iced tea, but with the carbonation and sweetness Sparkling Ice is traditionally noted for. It was a light raspberry flavor that was refreshing and easy to sip on. It was a unique and different change from the traditional iced teas I’m used to and one I could definitely stand to enjoy again soon! 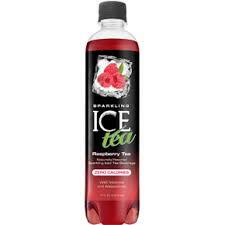 If you’re as into Sparkling Ice and contests as I am, then you’ll definitely want to enter the contest Sparkling Ice is currently running! Be sure to visit http://www.sparklingice.com/flavorfaceoff to register for your chance to be the face of your favorite flavor and get a year of Sparkling Ice FREE! FREE BOTTLE of SPARKLING ICE: Plus, just for entering, you’ll be emailed a coupon entitling you to a completely FREE bottle of Sparkling Ice (up to a $1.50 value!). Now that is definitely something sweet to sip on! *Thanks so much to the team at Sparkling Ice for providing me with this exciting and generous opportunity to sample the flavors! It was very much appreciated and enjoyed! Good morning! 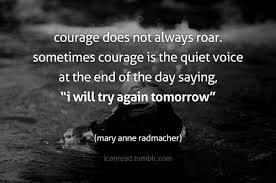 I hope the week has treated well and that your weekend will soon be off to a fun and exciting start! This past week and a half (nearly two weeks) has consisted of me battling some type of upper respiratory illness (not quite convinced it is a sinus infection or not, but I’m not entirely sure), so I’ve been trying my best to keep my spirits up. Lots of hot coffee, flavored waters, and fresh produce to try and keep me hydrated and my energy up. I’ve been attempting to push through as best as I can, but it can be challenging at times to push through the day when the comfort of my bed and a good book looks so very inviting. With this Ring: Hallmark-Inspired Evenings! Good morning! 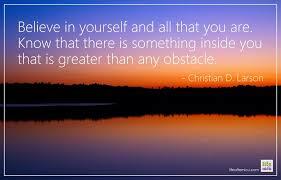 I hope your week is off to a great start, thus far. Unfortunately, I’m still feeling a bit under the weather. A couple days ago, I thought my cold/allergies were subsiding, but it seems I’ve caught a second wind of it. I’m hoping soon it will again subside and this time, permanently. Moving onto a topic that definitely boosts my spirits significantly is this weekend! Yes, I know it’s only Tuesday, but in my mind, Tuesday is one day closer than yesterday, to Saturday night! 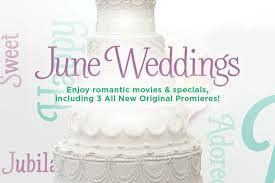 Given June is often a month synonymous for weddings, the Hallmark Channel has taken note of this and planned accordingly! If you’re unsure what I’m referring to, starting this Saturday night (6/20) at 9pm (U.S. Eastern Time), the Hallmark Channel kicks off it’s June Weddings Television Event! Both this weekend (Saturday – 6/20 AND Sunday 6/21), plus the following Saturday evening, viewers will be treated to brand-new wedding-related movies! In my mind, it is the perfect opportunity to kick back with a mug of coffee (or wine, or some other beverage of your choice) and perhaps a yummy snack and settle in for two hours of yes, I’ll admit, it can be slightly cheesy, but in a good way, love and lighthearted situations. In my opinion, it’s an effective and easy way to escape the stresses of daily life. A Perfect Match (Saturday, 6/20 at 9pm, eastern time): Starring Danica McKellar (of The Wonder Years and most recently, Dancing with the Stars!) and Paul Greene. As described via (hallmarkchannel.com): When an engaged couple can’t agree on anything, the mother of the groom (Linda Gray) hires a wedding planner (Danica McKellar) and an event planner (Paul Greene) to help put together the wedding of their dreams. The two planners are as different as night and day, but as they too learn to compromise, they discover opposites do indeed attract and can combine to produce incredible results! Love, Again (Sunday 6/21 at 9pm eastern Time): Starring Teri Polo (of The Meet the Parents movie franchise and most recently, ABC Family’s TV show, The Fosters) and Paul Johansson. As described via (hallmarkchannel.com): A couple is on the brink of a divorce when they must work together on planning their daughter’s wedding. While they don’t want to disrupt their daughter’s happiness by announcing their divorce, they must learn to work together to keep the wedding going, and soon discover their marriage just might be worth saving. 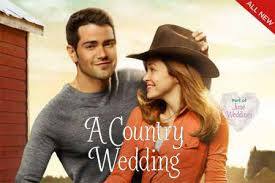 A Country Wedding (Saturday, 6/27 at 9pm, eastern time): Starring Jesse Metcalfe (of the former soap opera, Passions, Desperate Housewives, etc) and Autumn Reeser (of The O.C., The Whispers, as well as other Hallmark Channel movies). As described via (hallmarkchannel.com): A country western star returns to his hometown to sell his childhood home prior to his wedding. Upon his arrival, he meets the girl he proposed to when he was 8-years-old and she helps plan the wedding in his fiancé’s absence. Faced with old feelings that come flooding back, he will discover what really matters in life. 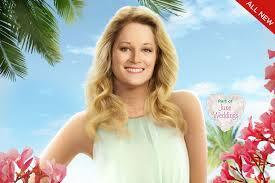 Well, there you have it – the June Weddings movie line-up on Hallmark Channel! Looks like it will be an entertaining trio. Be sure to let me know if you happen to watch it and your thoughts on it! Good Morning! I hope your weekend has been a pleasant and relaxing one, thus far! On Friday, the temperatures ended up being extremely oppressive and uncomfortable with the humidity soaring, making it nearly impossible to be outside for more than a short period of time. Also, I made the poor decision of leaving my flip flops in a closed, sweltering car, which almost melted them! 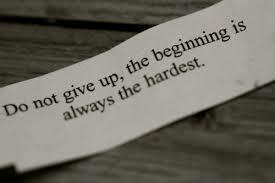 Lesson learned, for sure. Thankfully, they were able to be salvaged after taking some time to cool off in my air-conditioned house! In the city of Poughkeepsie, NY, specially-trained service dogs, will now be a permanent presence in the courthouse with the ability to provide children with support and comfort, as they take the stand, a task which can be anxiety-ridden and overwhelming for anyone, let alone children. 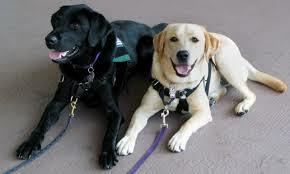 Dogs such as Bosch, the canine featured in the article, will be trained by nonprofit organizations, such as the East Coast Assistance Dogs (ECAD), which, according to the article, has trained over 250 canines thus far and has been able to assist in an array of situations for over 20 years. Employees of ECAD stated that the dogs provide children with the feeling that they can “tell their stories in a safe way.” The dogs are trained to sense anxiety and stress and perhaps already harbor an innate sense of recognizing these signs of distress. I was more than intrigued after reading this article and seeing how helpful and significant a dog’s presence can truly be. It’s not the first time I’ve read about an initiative such as this and in fact, I have experienced something relatively similar myself. Years ago and fairly recently, as well, while waiting in my local hospital’s emergency room (both for myself and family members, at one point), a man walked through with a golden retriever on a leash. Instantly, I noticed the faces on many of the people’s faces light up. 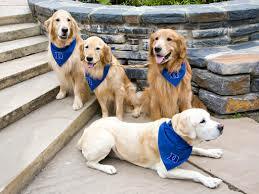 They were instantly taken with the sight of the friendly dog, who casually and happily walked over to many of them, greeting them and sending friendly and relaxed vibes through the otherwise, tense room. It was hard to be sad when in the presence of this dog and for a short while, he provided the room (and most definitely, me) with a pleasant distraction. “To provide a relaxed and “dog-friendly” atmosphere, which allows students to practice the skill of reading. Many of the children chosen for this program have difficulties reading and as a result have developed self-esteem issues. They are often self-conscious when reading aloud in front of other classmates. Ever since I was first made abreast of this program, it’s always been on my mind and I am in full support of it. Having worked with a vast array of children in school settings throughout the course of my life and having weathered through a host of self-esteem issues myself, there is nothing better than providing children with an alternative way to foster a love of reading and a boost of confidence. 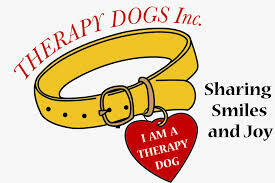 My reason for this post today, is my desire to share with you, whomever may be reading, of the many ways dogs can often offer us something well-beyond what traditional therapies and “scientifically” proven methodologies can. It is proof that sometimes, the only “medicine” or “treatment” a child, or anyone, for that matter, truly needs, is unconditional love and unwavering support. 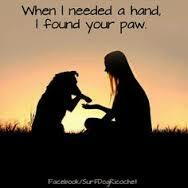 A supportive presence, helping hand (or paw) and listening ear can make all the difference. Good morning! Today, my area of the country (suburbs of Philadelphia) and elsewhere, I’m sure, are in for a steamy couple of days! It is expected that we will approach ‘heat wave‘ status, if we DO happen to reach three consecutive days above 95 or something of that nature, I believe. If you haven’t noticed, I am an avid follower of weather forecasting and always like to keep abreast of all that is occurring within the atmosphere. Needless to say, I’ll be limiting my time outdoors day, especially since the air quality is expected to be rather poor. Ancient Grains Blend Cereal: touch of honey and a delicious combination of spelt, quinoa, barley and brown rice flakes and KAMUT® Khorasan wheat. Fruit and Nut Blend Cereal: blend of toasted oats, puffed wheat, bran flakes, and wheat, corn and rice flakes. 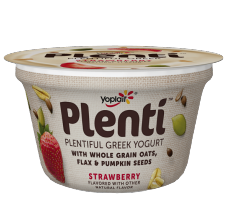 Cranberry Almond with Pumpkin Seed Granola: blend of toasted oats, wheat, barley, spelt, rye, fruit and nuts. Raisin Apple Granola: toasted oats, wheat, barley, spelt, rye and fruit. Before you question this cereal choice, I know it’s reputation is not always the healthiest, but this new version packs a whopping 9 grams of protein per serving! It is the traditional sweet cereal flakes, now with the addition of “energy clusters,” which I assume is something along the lines of granola. 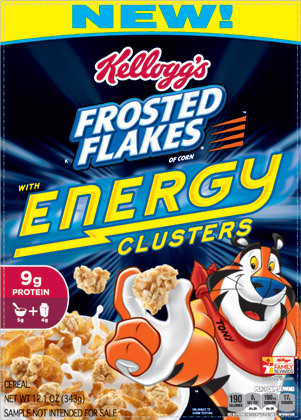 It is not specified on the Kellogg’s product page for this cereal what exactly the energy clusters are, but based on the image, I perceive it to be that of a granola taste/texture. Premixed; so it can be enjoyed at your leisure without much effort! Well, there you have it! This is just a sampling of select items I’ve spotted recently, but of course, I’m always on the lookout and will be sure to keep you posted on anything new and exciting I happen to come across! Enjoy! 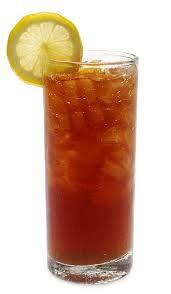 Happy National Iced Tea Day and good morning! I hope your week has been a pleasant one, thus far. Today’s post was slated to be vastly different than this actual one, but somehow, I managed to completely delete the post which was literally minutes from completion. Needless to say, I was devastated, overwhelmed and felt like giving up. I was instantly returned many years prior to a day when I was pressed for time and crafting an essay for school. The entire essay was nearly completed and thoroughly researched, when suddenly, it was gone. When I say it was gone, I truly mean it. I tried everything to retrieve it, asked for help, but nothing I did could bring it back. My first instinct after it happened, was to run my room and hurl myself onto my bed, sobbing for what it felt like hours. I remember back then, my mom walked into my room and told me I had two choices: I could choose to continue sobbing and feeling sorry for myself, or I could get back onto the computer, start crafting a new, even BETTER essay and save my words as I go along. Everything happens for a reason and maybe the first draft of my essay wasn’t all that great, similar to with the blog post I was nearly finished writing. Sure, it introduced some new products I was excited about, but more so than that, it taught me a lesson; a lesson that I need to get back up and write something else. What have I learned today? I’ve learned to save my drafts as I go along and maybe even write my blog posts in Microsoft Word and then transfer it to my blog and add photos and other little touches. So, I’ll think of this occurrence as a teachable moment, in a sense, one I can learn from and share with others. Like years ago, I could choose to feel sorry for myself, moan and whine about the deleted post, or take a deep breath and write something else. Maybe other people can relate to this or maybe not, but I figured I should share it. Yesterday, while watching Kathie Lee & Hoda on NBC in the morning, they mentioned that people who voice their thoughts (even the whiny, negative, complaints) are often happier in life and feel more connected to others. I’d never really thought of it in this way, as I often will publicize my complaints, whines, worries and happiness with my mom and sister, but not many others, anymore. So this is me, today, being brave and bold, sharing my complaint and upset, about my deleted post and also sharing a bit of lighthearted happiness on a day that has me feeling a bit under the weather: free Iced Tea! It’s an easy way to cheer me up when I’ve been battling a cold and a quick pick-me-up from this unfortunate snafu with my deleted post. *FREE* bottle of Snapple Iced Tea: visit http://sipyoursummer.com/ as quickly as you can to print a coupon! Prints are typically limited and the value is $1.25, so it should make for a free bottle! Keep in mind, the coupon is valid ONLY TODAY (June 10)! Yum! Happy Sipping! *FREE* coupon for a bottle of Inko’s Iced Tea: simply visit https://www.inkostea.com/contact-us and enter your full mailing address and voila, your coupon will be on its way! Good morning! 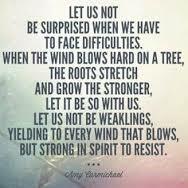 I hope your week has been a pleasant one! This week, has seemed like quite a long one. From dealing with the torrential rains and storms earlier in the week, to an unexpected snafu with my car yesterday, I’m looking forward to relaxing over the weekend and taking some time to catch up on reading and watching movies! That said, I’m very much looking towards the return of the warmer temperatures. Along with the inclement weather, the temperatures have been lingering on the upper 50’s to the 60’s; reminiscent of that of March (according to the local meteorologists! ), so the anticipated temperatures in the 80’s this upcoming weekend, leads me to one of my favorite summer treats – ice cream! Recently while shopping in my local grocery store, as well as scoping out some of my emails and favorite brands on social media (i.e. Facebook, Pinterest and Twitter), I’ve started to see the introduction of numerous unique ice cream and frozen dessert options! They’ve been so extraordinary in my opinion, I just had to share them (though you may already be familiar with them). 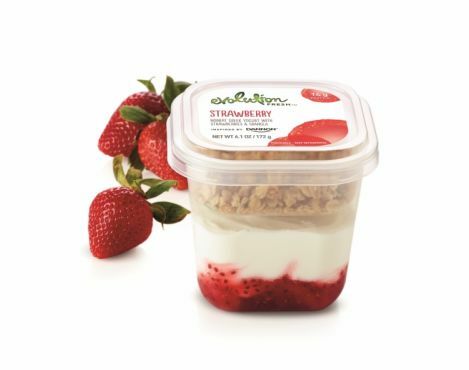 Plus, for those of you who may be lactose intolerant, vegetarian, vegan, or are looking to reduce your dairy intake, there are also non-dairy options appearing in store freezers, as well, which I will also share and detail below. For as long as I can remember, the brand, Turkey Hill has always been a staple in my family/household. When I was a child, I can fondly recall eating bowls and bowls of Turkey Hill’s Chocolate Peanut Butter Cup and Fudge Ripple ice creams! 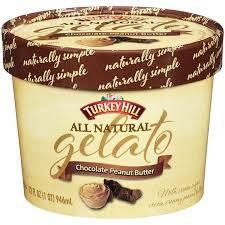 To me, Turkey Hill has always been a high-quality brand producing ice creams and frozen yogurts that are comparable to those found in ice cream shops! 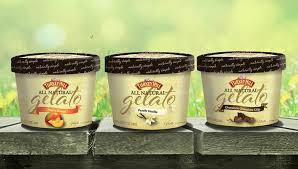 Nonetheless, while it may be a local/regional brand (I’m not exactly certain), if you are able to purchase it, I highly recommend it and with the introduction of their new Gelato line, it is even more enticing! 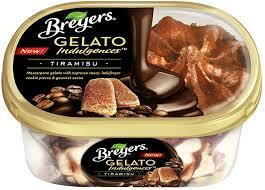 Though I’ve never actually tried gelato before, myself, seeing that Turkey Hill is now offering it, my interest is piqued. 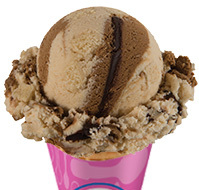 This flavor is affectionately described on the official Baskin Robbins website as, “Dunkin’ Donuts-flavored ice cream, with donut pieces and a chocolate-flavored icing ribbon, dunked within Dunkin’ Donuts coffee ice cream!” In one word, this flavor can be described as, “WOW!” Not having tried it yet, I can only imagine how incredible it must taste. If you’ve had the opportunity to try it, I’d love to hear about it! One of my favorite local grocery store’s, Giant, recently introduced a Limoncello-inspired line of products, which includes this flavor of ice cream – Limoncello Chiffon. 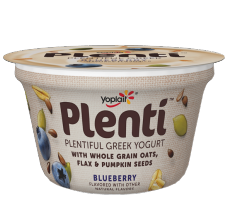 Perhaps you’re familiar with Giant, but if you’re not, they are noted for having excellent store-brand items (at least in my opinion! ), so I’m always intrigued and curious about the new store-brand products they introduce. This particular ice cream flavor, is described as “Lemon ice-cream with chunks of cheesecake swirled with a sweet graham cracker crust!” As a big fan of ice cream AND cheesecake, to me, this sounds like the ideal treat! Well, there you have it! 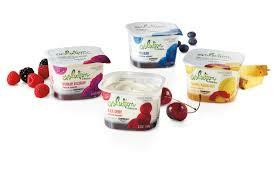 I hope I was able to provide you with some new options and ideas to try out, not only for the summer, but year-round! 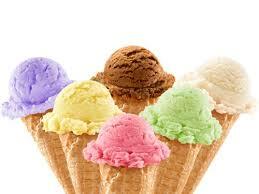 Happy Scooping!